Unless you’re a watch smith, you probably won’t be able to make yourself an actual watch face as a DIY project. When it comes to the band, however, you can get as creative as you want! 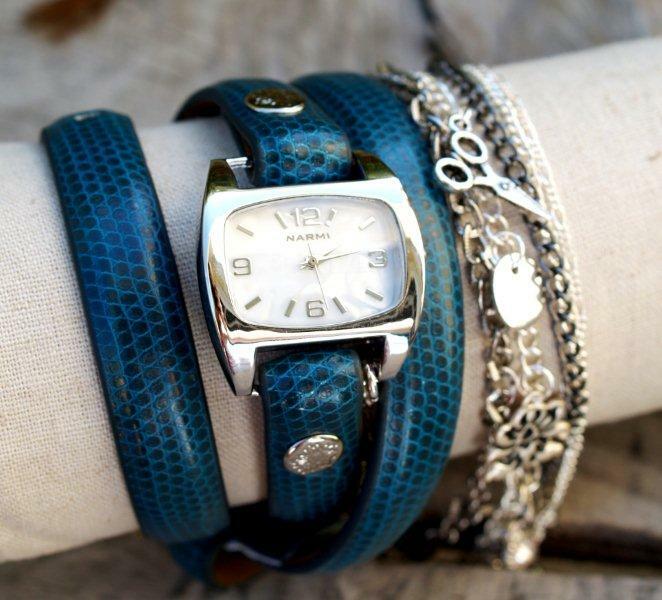 Creating a new watch band is a great way to transform your regular watch into a statement piece or a nice piece of jewelry. 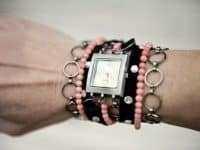 Check out these 15 creative DIY watch bands that are totally easy to make and will impress your friends! 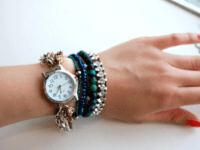 Are you a fan of a delicate chain look but you’re not sure which type of chain you want? 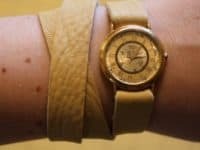 Make a watch band that has all the different types of chains! Do one in gold, one in silver, one that’s chunky, and so on. Wild Amor shows you how to do it. 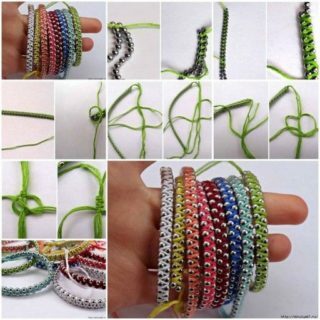 You’ve probably seen these same weaving and braiding techniques in friendship bracelets, but we love the look even more in this chunky paracord material! If you’re looking for a DIY watch band that’ll take a little more wear and tear, Paracord Tutorials has the DIY guide for you! 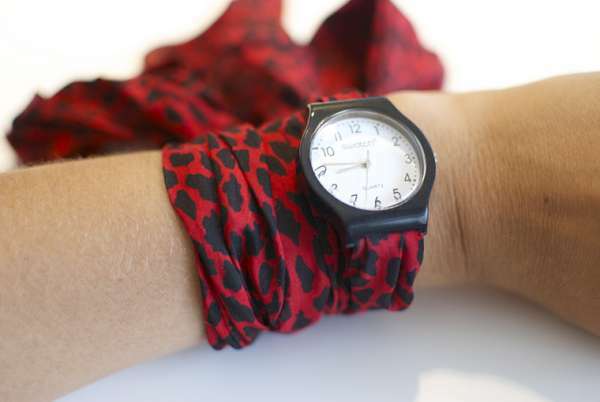 Trend Hunter suggests using a bright, patterned scarf as a watch band. 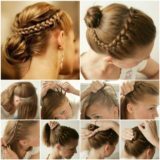 We love the soft look it gives and the way it wraps around and around! 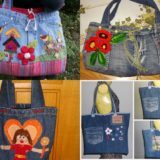 Are you a sewing enthusiast with a lot of scrap fabric ends lying around? 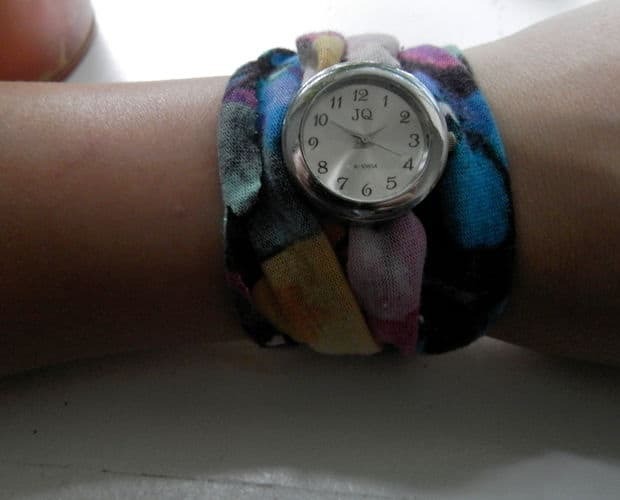 Sew them together end to end and make them into a watch band! You can choose whether to make it short so that it only wraps once or very long so it wraps as many times as you want! 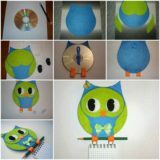 Get the tutorial on Instructables! Do you really love the idea of turning your watch into more of a jewelry piece than a time piece? 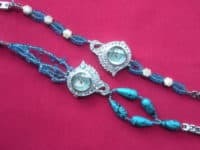 Beads are probably the easiest way to do that and we love that the look is completely customizable depending on what kind of beads you buy. 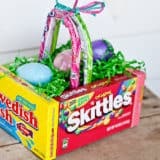 Check out how Craft Know It All made this one! 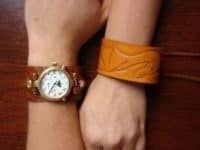 Of course, this project doesn’t have to be made of scrap leather specifically, but it’s a great way to use up a strip or two if you have it left over from another project! Otherwise, you can buy a small length just for this look. 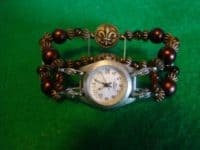 Like a few of the previous designs, this one can be made to just wrap around your wrist once or to wrap several times so it looks more like a bracelet, like the pictures watch by Megan Nielsen. It’s all up to you! Are you a big fan of texture and colour? 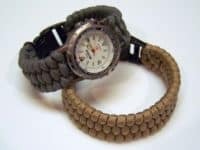 Weaving and braiding differently coloured strands of leather string is a great way to incorporate both of those things into a new watch band. 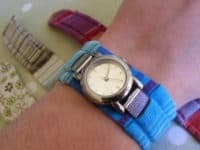 Shelterness shows you how to use jewelry clasps to secure the woven ends of your band well so it doesn’t unravel as you wear it. 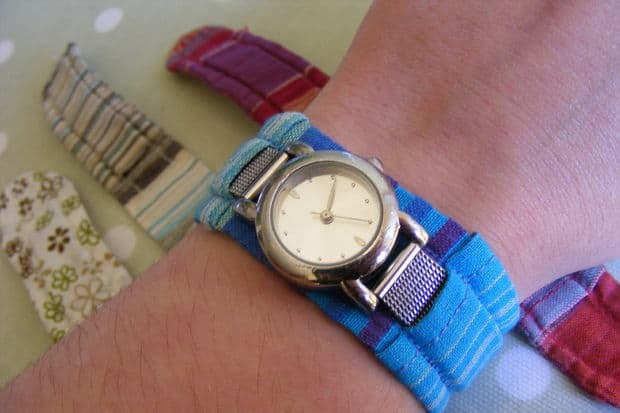 suggests using your watch band as a nostalgic throwback to the fashion trends of your school days by creating one using friendship bracelet techniques! 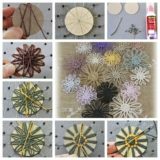 Grab some coloured thread or embroidery floss and get braiding or weaving in your favourite shades and patterns. Brit + Co. shows you how this one was made. What’s better than getting something that looks designer without having to pay designer prices? 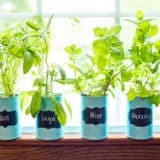 DIY projects are amazing alternatives for the expensive things you like. 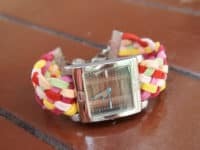 We love this tutorial by Flamingo Toes because it teaches you how to create a watch band that wraps multiple times and features adorable little charms! 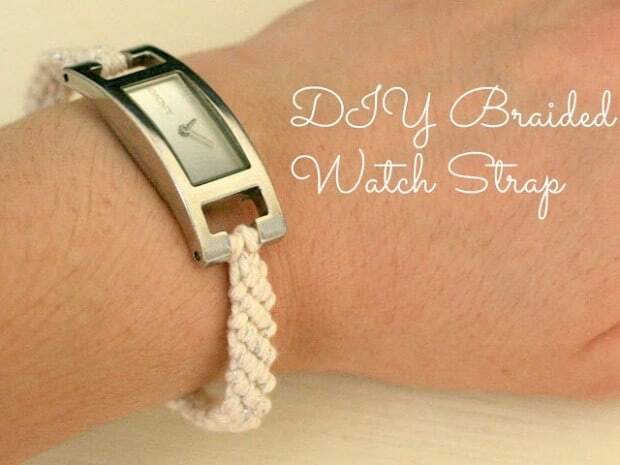 Are you looking for a DIY watch band that’s a little more delicate and feminine? 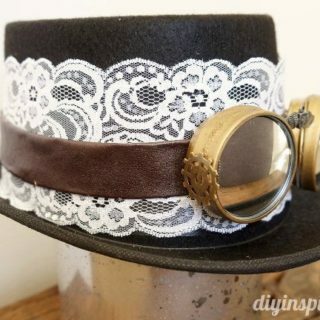 Try using lace instead of thicker materials like leather or metal. 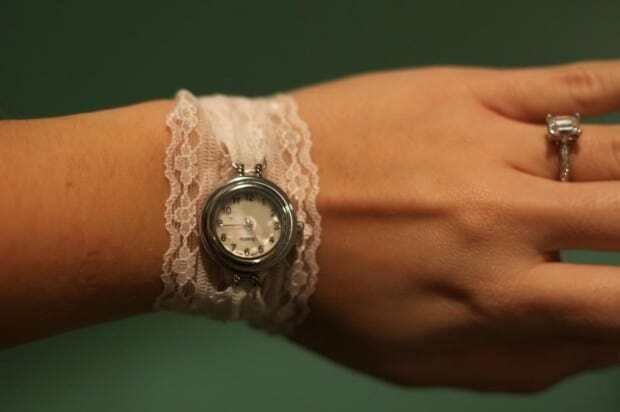 This look works particularly well if your watch face is very small and quite delicate itself. Get some advice on how to do it from Kitty and Kevin. 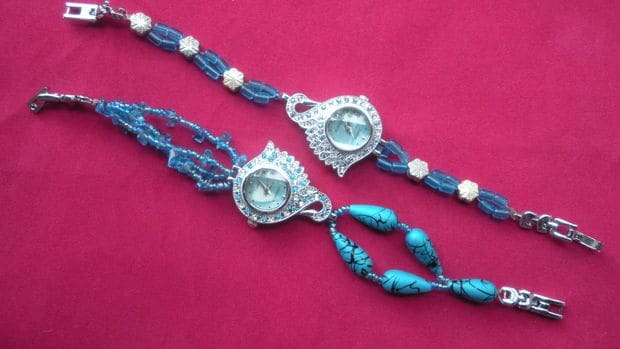 Are you having trouble choosing between a delicate chain, some colourful beads, and some sparkling rhinestones? 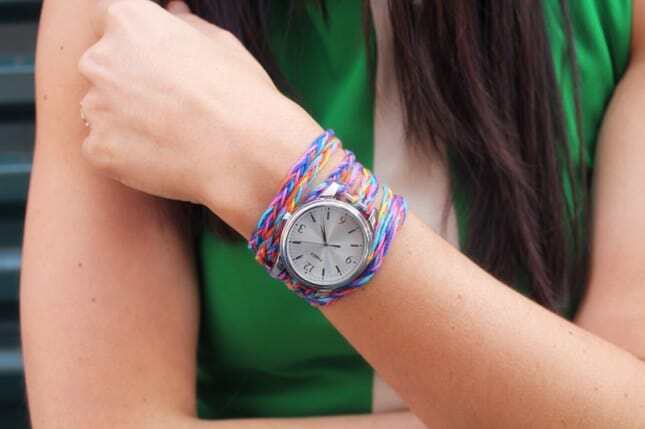 Fab You Bliss shows you how to make a band that combines all three of those things in a stylish way so you don’t have to choose! 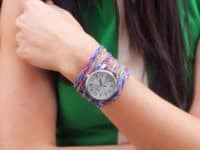 Do you like the idea of using friendship bracelet braiding and weaving techniques but you’re looking for a more understated colour scheme than your classic rainbow design? 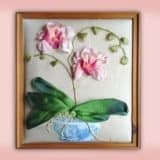 Instead of bright embroidery floss, try using simple white string or thin rope pieces to create a band that has great texture but less hue. Wrapped Up in Rainbows shows you how it’s done. 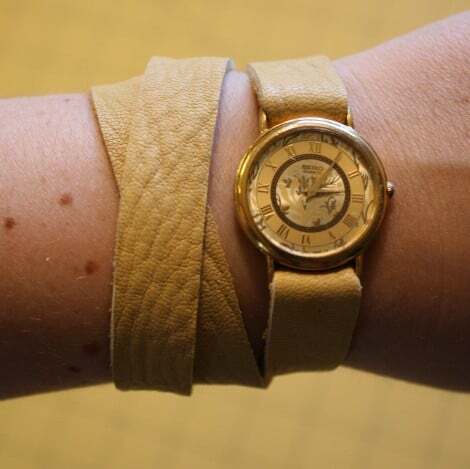 Instructables suggests altering an existing watch band rather than making one from scratch. 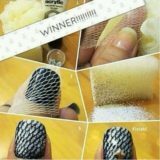 The tutorial shows you how to remove the band, measure and cut the fabric to the correct size, and sew the cover. 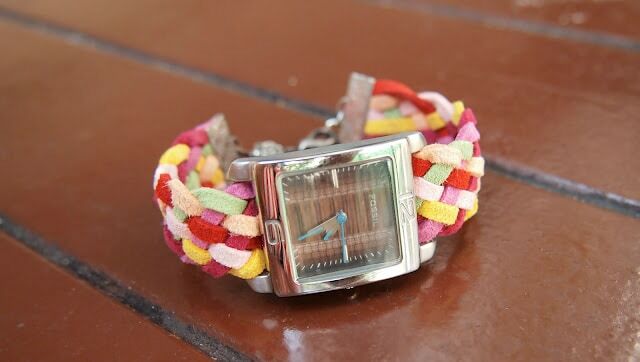 You’ll be able to customize your watch to include whatever colour and pattern you like! Do you love the idea of working with leather but you’re more interested in something that makes a statement rather than thin leather strings? 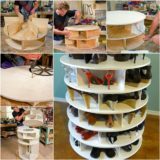 This design from Instructables might just be the one for you! We love that is looks like am actual cuff. 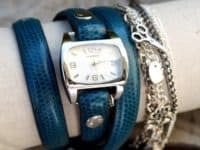 Choose a shade of leather that complements the majority of your wardrobe to make it as wearable as possible. 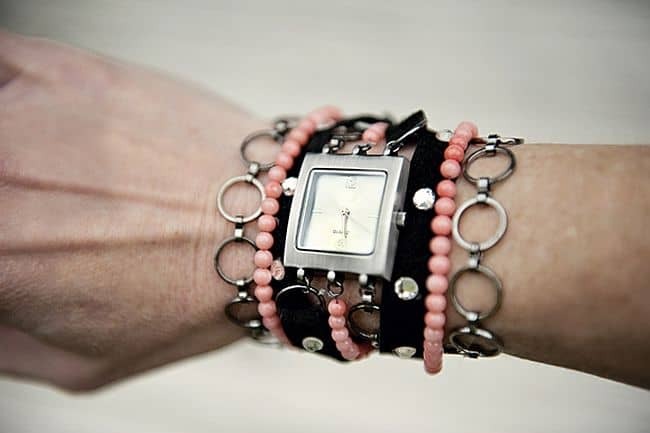 Do you have a decorative watch face with a band that just doesn’t measure up when it comes to style and intricacy? Fancy it up yourself so it suits your tastes more! 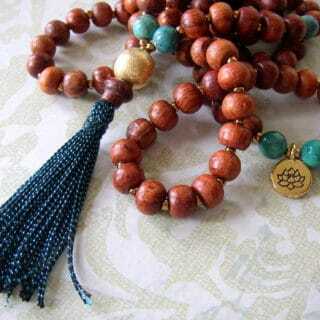 Beads of all different kinds give you just about endless possibilities. 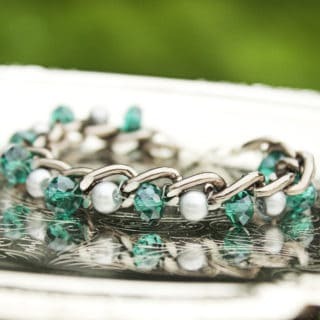 Check out this beaded band tutorial on Instructables. 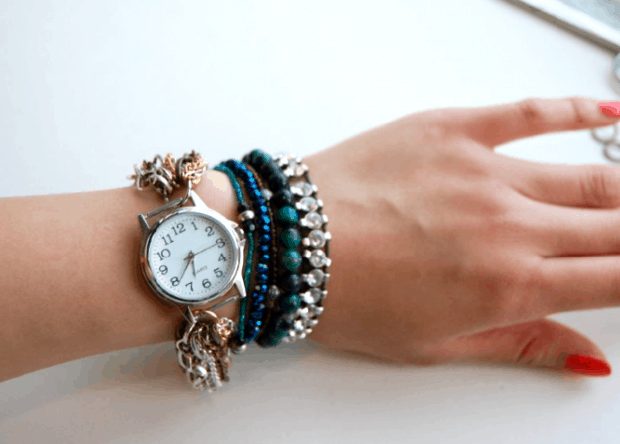 Time to give your watch a snazzy makeover!